Canadian band Arkells went on tour with the Tragically Hip back in 2013. Today, Kerman looks back at his time on the road with Downie and what he learned from his time spent with him. Back in 2013, Arkells went on a Canadian tour with the Tragically Hip. Lead singer Max Kerman says he learned a lot from his time spent with the band and especially its frontman, Gord Downie. "Gord taught me it's OK to dance," Kerman reveals. "Gord is an incredible, physical performer and I think, you see the guy up there being totally uninhibited, and I think that loosens everybody else up in the crowd. 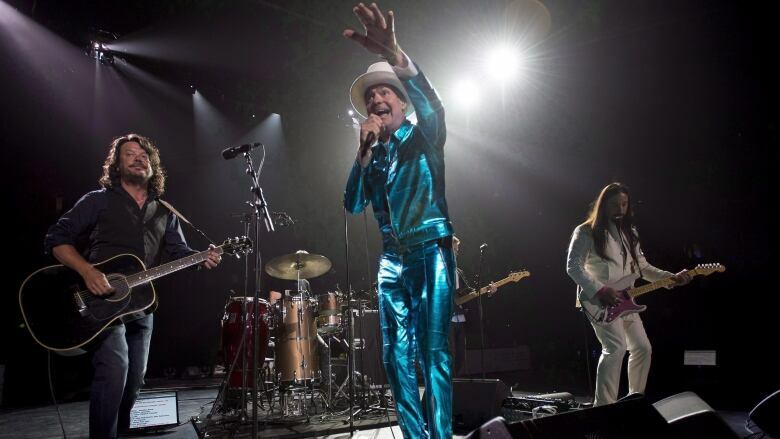 It made everyone feel OK to dance around, scream, fist pump and be their most eccentric self at a Tragically Hip show because the man leading the dance was Gord."